The CTCB’s Festive season this year sees a new ballet by Adam Sage of the Ballets Philippines, called ‘The Little Mermaid’. The work is based on the well-known fairy tale by Hans Christian Andersen featuring a little mermaid, Princess Ariel, who falls in love with a human, Prince Eric. 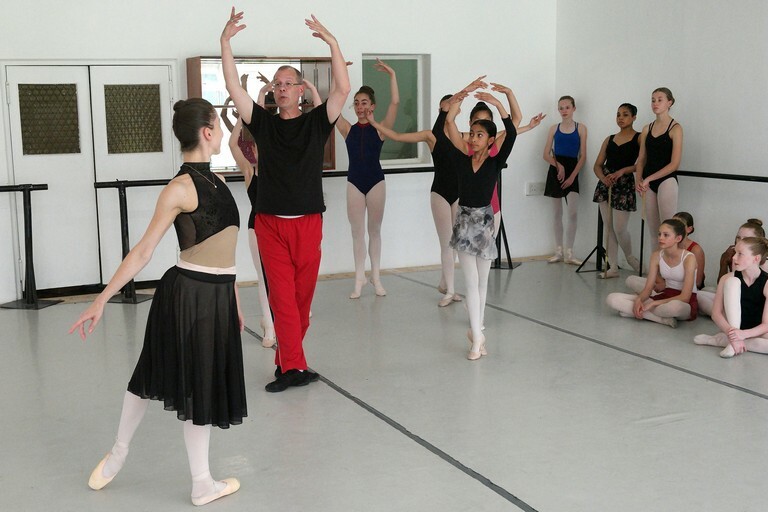 Adam Sage is currently the Associate Artistic Director at Ballet Philippines, after enjoying a nearly three-decade performing, teaching, coaching and choreographic career that has spanned four continents. Sage was the Artistic Director and Founder of Missouri Ballet Theatre and served as Artistic Director of Virginia School of the Arts, School Director of School of Nashville Ballet and Ballet Master for Nashville Ballet. Sage has choreographed over 50 works, including a full-length ‘Nutcracker’, ‘Cinderella’, ‘A Midsummer Night’s Dream’, ‘Dracula’ and of course, ‘The Little Mermaid’. He has been in demand as a guest teacher both nationally and internationally for many years and served on the Adjunct Faculty for Webster University in St. Louis, MO. Sage choreographed The Little Mermaid in April of 2015 for Missouri Ballet Theatre and it had its world premiere on June 13, 2015. “I had been thinking of a wonderful children’s story to make into a full-length ballet that had not been done already a million times by others. I decided on ‘The Little Mermaid’, a touching story of a young mermaid who wants more out of life than just swimming with the fish,” says Sage. * There are 11 performances of this work at the Artscape Theatre, from December 14 to January 6, and it includes the traditional Fairy Parade after the performance on December 24 at 2pm. Tickets are R150 and R200. Booking is through Computicket or Artscape Dial-a-Seat on 021 4217695.